You’ve tried everything on http://support.xbox.com/en-US/xbox-on-other-devices/connections/xbox-360-wireless-gaming-receiver-windows . You’ve rebooted your machine, tried every USB port and an independently-powered USB hub, you’ve put fresh batteries in your controller, you’ve uninstalled and reinstalled drivers, you’ve tried some other forum posters’ descriptions of “clean booting” or unplugging every other USB device and all manner of other last-ditch voodoo, and you STILL can’t get Windows to recognize your Microsoft Wireless Gaming Receiver or the Xbox 360 controllers you’re trying to use. You’re cursing Microsoft for discontinuing the product, for not supporting Xbox One controllers on the PC (at least not yet), and for leaving you to hunt for a 3rd-party knockoff whose drivers don’t look like potential malware. Don’t blame Windows for this one. Blame the hardware designers. If that’s your problem right there, fix it with your soldering iron. If you want to be proper about it, you could replace the fuse with another fuse instead of just closing the circuit. Sounds great at only ~50 cents, but chances are shipping & handling absolutely kills the deal for you. Might as well replace the whole unit for that kind of cash. Either’s going to force you to wait for it to get from the seller to you. Or you could just do a lazy, ugly job of soldering over it, and hope the thing won’t burn your house down. Following that other blogger’s instructions I was able to fix two of these devices in about as much time as it would’ve taken to choose & buy “new” (*cough* counterfeit *cough*) ones online. Had I (or anyone else searchable) known this fix existed when the first one broke, I would’ve soldered it then. Sure beats paying between $10 to $20 and waiting for shipping (during the holiday season, no less!). Especially because I don’t plan on using these controllers much longer after Valve starts selling the controllers they’re already publicly testing. 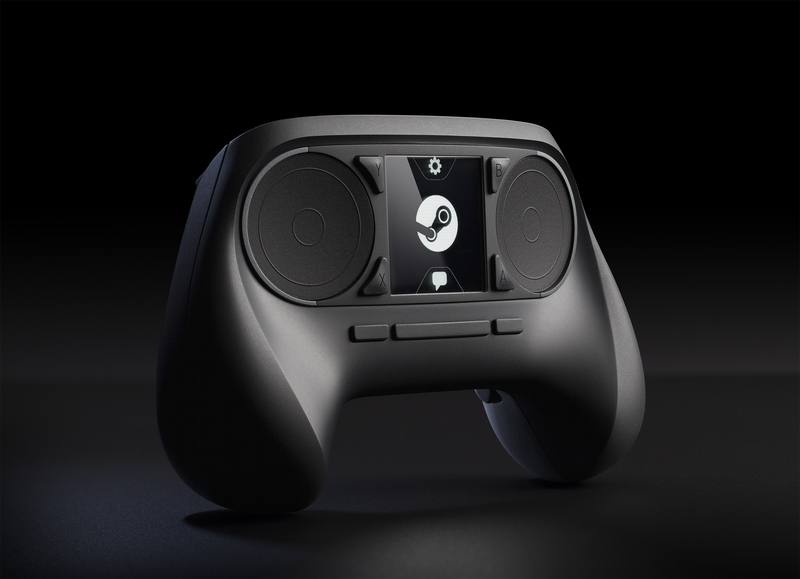 [Edit] Wasn’t expecting that image of the Steam controller prototype to still feel so far away almost one year after originally posting it at the end of this page. Thankfully Valve have been good about getting in-home streaming working, so I’ve found myself happily making use of both of my wireless transmitters.